How Do I Adjust and Control Screen Brightness on My Firefox OS Device? The screen of almost all devices (Android, iOS, Firefox OS, and other touch-screen gadgets) uses up a huge chunk of the battery’s power. Generally, the larger and brighter the screen is, the more battery life it consumes. A brighter screen allows you to use the phone easily, even under high ambient lighting conditions such as when you are outdoors during the day. However, in darker places or at night time, you can set your device’s screen brightness to a lower setting which conserves battery life and reduces eye strain. If you want to adjust the screen brightness on your Firefox OS device, keep reading. 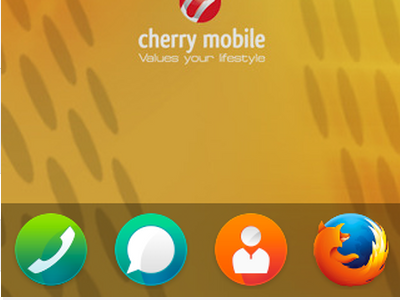 1.Go to the Home screen of the Firefox OS phone by pressing the Home button located in the middle of the lower part of the device. 2.From the Home screen, locate the Settings icon on the application list. Tap on the gear icon to open up Settings. 3.In Settings, proceed to the Personalization sub-menu, and tap on the Display option. 4.In the Display page, tap and hold on the adjustment button and swipe it to the left to decrease the screen’s brightness. Swiping to the right will increase the screen’s brightness. 5.Your adjustments will be automatically saved and applied. You are done. Some devices will automatically adjust screen brightness. When enabled, the phone will automatically adjust its brightness based on the ambient light detected by the light sensor. This will keep you from having to switch between different levels of brightness manually on your device. Did you have a problem with any of the steps above? Do you have something to share about your Firefox OS? Let us know in the comments section!